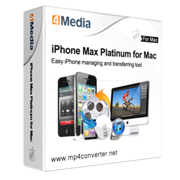 4Media iPhone Magic Platinum for Mac is iPhone, iPad and iPod manager software which can easily copy music, videos, photos, books, contacts and ringtones from iphone to Mac. 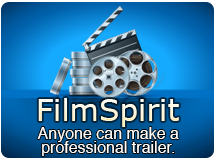 It integrates with a full-format codec pack that can convert dvd to iphone, convert videos, CD music, common video and audio files to iPhone compatible formats. With embedded pop online video websites, Mac users can easily watch and download online videos and then convert to compatible format for playback on iPhone. 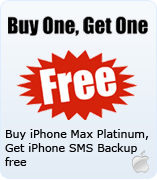 More than that, you are also enabled to create your own iPhone ringtones from any audio/video file. This powerful iPhone Magic for Mac assures format compatibility and playback smoothness with nearly all iPhone, iPad, iPod and iPod touch models. Support connecting multiple devices simultaneously, 4Media iPhone Magic Platinum for Mac is a powerful conversion solution for playback audio and video on iPhone/iPad/iPod touch and fast file transfer between devices and Mac. Transfer music, movies, photos, books (PDF and EPUB formats) and iPhone ringtones between iPhone/iPad/iPod touch and Mac. Now it can even transfer apps between Mac and your devices, also manage documents for some apps. Transfer all files in iPhone/iPad/iPod touch to iTunes for back with ease--best iPhone manager software. Decrypt and convert DVD disc movies and CD music and convert to iPhone compatible format for playback. Lets you convert all kinds of video and audio files to specific iPhone formats, including M2TS, MTS, AVI, MPEG, WMV, DAT, TS, MPV, NSV, MOV, QT, H261, H264, WMA, AAC, AIF, AIFF, AC3 and so on. One-step to download and convert online videos from pop online video websites, including YouTube, Metacafe, Dailymotion, Break, Vimeo, Revver, Blip, Vidilife and Stickam, and copy iphone to mac. Create customized iPhone ringtones from any video/audio file you like on Mac. Manage iPhone's multimedia files as iTunes: create/edit/delete playlists, edit iPhone audio ID3 tags information as title, artist, album, rating, genre and others as you like, create photo albums from pictures shot by iPhone. Support connecting multiple devices simultaneously to realize mutual file transfer, copy iPhone to Mac. Fully support output files for all iPhone/iPad/iPod touch models: iPad, iPad 2, iPad 3, iPad 4, iPad mini, iPad mini 2, iPad mini 3, iPad mini 4, iPad Air, iPad Air 2, iPad Pro (12.9/9.7/10.5 inch), iPod, nano (5th Gen), iPod mini, iPod shuffle, iPod classic, iPod touch, iPod touch 4, iPod touch 5, iPod touch 6, iPhone, iPhone 3G/3GS, iPhone 4, iPhone 5/5S/5C/SE, iPhone 6/6 Plus, iPhone 6S/6S Plus, iPhone 7/7 Plus, iPhone 8/8 Plus, iPhone X, iPhone XS, iPhone XS Max, iPhone XR. Support iOS 12 and iTunes 12 as well, not only an iPhone manager. Optimize the profiles automatically in transferring or converting audio/video files into iPad/iPhone/iPod. Proxy server configuration allows you to configure the network, HTTP and SOCKS 5 types are available. English, German, Spanish, Portuguese, French, Italian, Japanese, Simplified and Traditional Chinese interface languages are optional in this iPhone manager.